Romeo Durscher is Director of Education at DJI, the world’s largest, most successful drone manufacturer. His job is one of the most fascinating in the world. Romeo acts as global ambassador for safe and effective use of drone technology. His mission takes him all over the planet—from tackling safety challenges with the United Nations in the Maldives, exploring caves in Vietnam with ABC’s Good Morning America, and pioneering drone use with mountain search and rescue teams on a glacier. 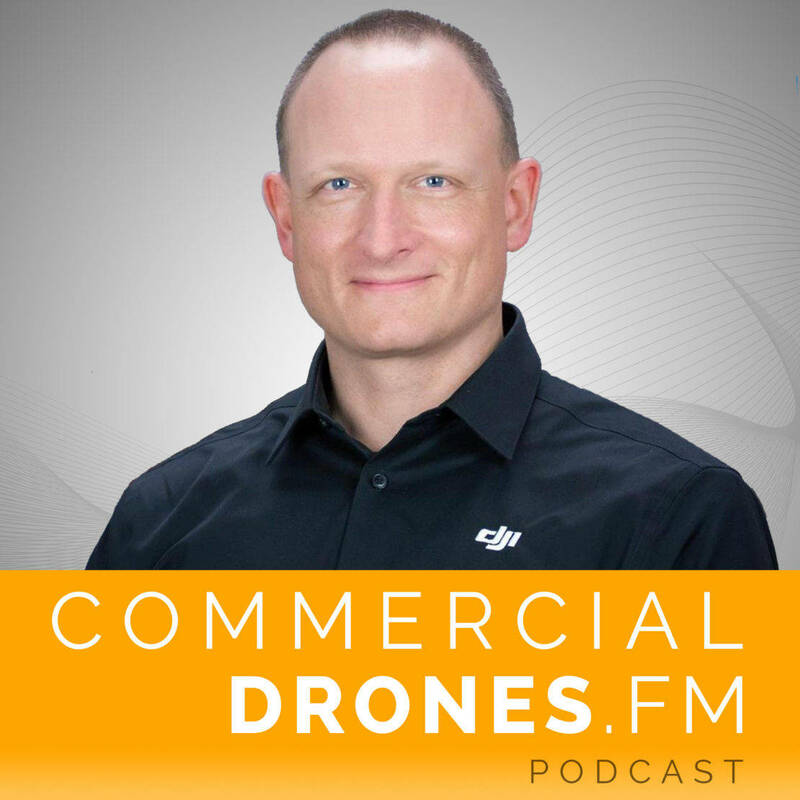 Romeo and Ian speak about all of this—including DJI’s plans for their DJI Enterprise division—for a truly epic episode of Commercial Drones FM. [00:00:06] IAN SMITH: Before we get started with this episode I want to say from the bottom of my heart thank you for listening. [00:00:12] I absolutely love producing this show for you. One thing some listeners will note is that I’ve had a grand total of two different sponsors during the life of this podcast, unbeknownst to anyone else only one of those deals actually involved any money. I’m not going to lie. Money does help some pocket change to cover recording and production expenses would go a long way to ensure I can continue doing this for as long as possible. [00:00:39] With that said please, do check out the podcasts’ new patreon account if you like this show you can choose to donate one dollar a month to the podcast and also earn some really cool rewards like an invitation to join the show’s supporter only private slacke group that I’ll be creating where we’ll speak about the drone topics that you want to hear about and get more one on one interaction. So go ahead and check out what you can do to help at Patriae on dot com slash drones podcast. That’s PATREON.com/drones podcast. [00:01:14] Thanks a bunch. Back to the show. 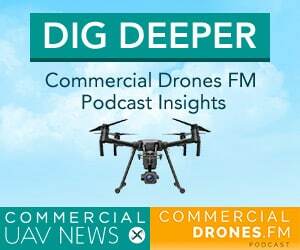 [00:01:20] [Introduction]: Welcome to Commercial Drones.FM, the podcast that explores the commercial drone industry the people power it and the concepts that drive it. I’m your host Ian Smith. [00:01:32] IAN SMITH: Hey everybody. Welcome to Commercial Drones.FM. We have got a very special guest today one Romeo Herscher who is the director of education at DJI. So today I’m sitting at the DJI San Mateo office with Mr. Durscher. Thank you so much for joining the show today Romeo. [00:01:51] ROMEO DURSCHER: It’s great to be on the show. This is going to be fun. [00:01:53] IAN: This is going to be a lot of fun. I’ve been really anticipating this. I remember reaching out to you pretty much in the very beginning of the podcast I was like I got to have you on the show will you do it. You said yes. But then inevitably business gets really busy so thank you so much for making the time now better late than never. For the audience who’s listening and people who might not know you maybe you can give a little bit of an introduction to yourself. You know you work at DJI. Director of Education What is your background and maybe you can tell us how that kind of got you here today where we’re sitting. [00:02:31] ROMEO: Yeah absolutely. And you know it is going to be somewhat of a storytelling session here. I’m really excited. Well let’s see. You may have detected an accent already so I was born and raised in Switzerland. [00:02:43] IAN: So that’s what the CH stands for right? [00:02:45] ROMEO: That’s right. Confoederatio Helvetica. That’s Switzerland. And you know as a kid I always wanted to work in space science. I wanted to be an astronaut. I mean like every other kid that’s Switzerland you know there’s not much happening in space. We’re not really sending rockets to space. We do however have a Swiss astronaut who flew multiple times. So he was like my big hero and I wanted to be an astronaut. And so my eyes were always fixed on some day moving to United States. Well when I was like six or seven years old my my mom and my brother took me to Disneyland in L.A. and I fell in love with California. All right. [00:03:28] So let’s move forward. I spent some time in the Swiss military because we have mandatory military service and I thought why not be a military pilot. Makes sense. You know astronaut pilots you know they go together. Well I got disqualified because of motion sickness. Alright so I decided well you know I may still be able to become an astronaut. So let’s just move to California. So I did. [00:03:54] IAN: When all else fails just moved to California. [00:03:56] ROMEO: Leave everything behind. [00:03:58] Leave all the good chocolate behind go to California. So I did and that was in 1997 and I came to the U.S. And shortly thereafter I finally got an opportunity to work on a space mission. And I was like totally excited because this was you know my big dream come true. And I ended up spending 13 years working on this NASA’s space mission. And throughout that time I really got to see some cool technology here in Silicon Valley of course at the hub of technology and and also in space science a lot of great great great futuristic technology. And I had always loved flying airplanes so you know I started flying remote controlled air planes and at the time I actually bought a house in Vegas and I telecommute it back and forth and right outside my house there is the Willie McCool airfield and Willie McCool was one of the astronauts who sadly perished on February 1st 2003 on. On Columbia during re-entry. And so you know these were all these little signs that you know I’m I’m doing the right thing you know I’m flying airplanes on the airfield that was named after NASA astronaut. [00:05:10] And what else is in store for me. Well around that time my very best friend Mark Johnson who does forensic analysis always has the latest technology called me up and said Romeo you got to come and see what I just bought. All right. I went over to his house and there was like six years ago I went over to his house and there’s this crazy looking machine with propellers and it looked like a UFO. Totally. I’ve never seen anything like it. MK What did you get this. It’s like I bought it from China. And let’s go fly. You know how to fly this thing is like no. Is there a manual. No. All right. So we went to the park. We had no idea. We had absolutely no idea. [00:05:55] IAN: What year is this? [00:05:55] ROMEO: That was six years ago. [00:05:57] IAN: So 2011 roughly? [00:05:59] ROMEO: Roughly 2010, 2011. So we ran out to the park and there were also no YouTube videos at the time because this this really didn’t catch on till you know a year or two later. So we were trying to figure out how this thing works and we got it to work we got it to actually spool up and take off. And then we were trying to figure out how do we get it back down in one piece. It was going all over that park and it was the most craziest experience ever. But it was so cool because you had this device that in actuality could just hover. All right. Moving a little bit forward. [00:06:43] So funny. Today is Friday the 13th and in my Facebook memory from four years ago I just today saw that we were using the phantom one and we modified it. We put a little pinhole camera on it and I’m wearing these ski goggles that we put the monitor inside and we were flying FPV four years ago for the very first time and offended one. [00:07:07] IAN: I just saw the picture this morning when I woke up. That was a good one. It was so funny because I mean if you think about it four years ago. Yeah that was like there was no FPV for I mean I can’t even imagine how you guys rig that together. [00:07:22] ROMEO: But yeah that’s you know we we just we bought the technology and we started playing around with it and we started helping others to do the same. To learn through us because there were no tutorials there were no manuals and if there was a manual it was in Chinese. So those were the early days but boy was it fun. And then once we realized that we can put a camera on that platform I was I was amazed. I was truly amazed and I started doing aerial photography because I hate video editing. I hate it with a passion. [00:08:00] IAN: Did you have a photography hobby experience or anything previous to aerial photography? [00:08:06] ROMEO: Yeah I you know it’s it’s like your every day photographer and you know somebody in your family always thinks that you take the best pictures Romeo you should go to our party and take the pictures and then you end up doing it. And then of course you know somebody gets married and they’re like Romeo you should come and take pictures. And so it was just more of a hobby. But then when I started to see how I can rediscover my surrounding from just 50 or 100 feet above I was totally intrigued. And so I started learning more about aerial photography and at that time I also met Russell Brown from Adobe and Russell if you don’t know him he is the master of Photoshop. And we went out flying together and we would then create these panoramas. And that’s something that had never been done before because it’s extremely difficult to do an aerial panorama. You can maybe do it out by helicopter but certainly not out of an airplane. [00:09:01] IAN: Were you guys doing these Penor at these you know initial aerial panoramas without gimbals on the aircraft? [00:09:07] ROMEO: Yes yes. With the GoPro camera at the time and you didn’t know what you were shooting because you had no. No real life feet back until we then installed a little camera or a little video transmitters on that fed the GoPro camera footage to goggles or two monitors. But that was you know months down the line and we were shooting blind. And so one thing led to another. And Mark and I decided in in 2013 that we would take a month off and we would travel with our fandom once to Europe and the whole purpose of the trip was to see if this technology could replace your every day handheld photo camera in essence would a drone be a great tool for vacation photography. [00:09:58] INA: You guys took this upon yourselves just kind of like Discovery. [00:10:03] ROMEO: Yeah yeah. So we rented a house in the Provence in southern France and we decided all right in the mornings we’re going to go fly. We’re going to do sunset sunrises and sunsets and in the middle we’re going to go wine tasting and napping. It’s like perfect. You know? [00:10:20] IAN: That sounds amazing. [00:10:21] ROMEO: It is of course at the time there was no rule for eight hours between you know throttle to bottle. So we were wine tasting and then we would go fly again and we visited some spectacular locations. And what I personally learned was that people on the ground were fascinated by this. They had never seen these type of drones. I mean we’re talking about 2013 it was really really early on. And so we became almost like ambassadors and entire villages kids would come and stand around us and watch us. And then we would show them the images and they were just as blown away as we were in the beginning. So through all of that I really got gotten into aerial photography and I started doing very different things with it. You know sometimes abstract sometimes long exposure as I tried so many different things. And as technology gets better and camera technology get better we just it’s so much creative stuff. [00:11:24] So how how did I end up at DJI? Well I know really thought I would have a better job or a more interesting job than working on a NASA space mission. I mean that’s pretty darned cool if you’re a geek. And so when when I realized while there may be an opportunity at DJI especially after I came back from a drone conference in Ireland and I submitted a report to DJI saying hey it’s very evident to me that you need a Department of Education that helps with not only educating users on how to use a technology safely and smartly but also help change public perception not so much in Europe but here in the United States because at a time when you said drone people thought the worst. And my proposal to teach and I was favorably taken and I in a sense was offered a position. [00:12:25] And so here now I had to make a decision after almost 13 years. Would I leave you know the NASA space science environment and go over to this Chinese company that makes these amazing products. But I don’t really know much about all of this. I decided and you know now is the time let’s do it. And so they came over here and I started Department of Education and I outlined several layers of education and there was the lay yourself you know helping new customers with tips and tricks on how to use the technology safely to working with commercial entities changing public perception through education to getting that technology into academia. So students and researchers can use it and can come up with new ways of using technology and creating new applications. And I also added at the time the humanitarian and first responder areas into education because I had already envisioned that someday this technology will help save lives. But at the time the fandom to find them three platforms were not quite where I thought they needed to be to really go aggressively after that segment. But then with the with the introduction of like bridge on our fandom lines that changed everything game. [00:13:57] IAN: That’s I think that’s one of the I guess people don’t realize how important technology is for the modern drone operations of today. I mean it’s so effective and it works so well that you don’t even really know know that it’s there. But if you compare it to the previous methods of the Wi-Fi connection I mean. Oh my goodness. That was never I mean when you have something flying away and you’re trying to get a little bit further than a 50 to 100 feet then it just becomes a lot more unreliable. So of course a light bridge cam came along and changed things. [00:14:30] ROMEO: Absolutely that was that was a big big game changer at the time. And of course and also camera technology became better. The moment we moved away from you know a fish eye type of view to a more narrow to a more undistorted view you can now we were able to use it in different ways. So things moved along and I first focused also on helping with education of aerial photographers in creating workshops and I did a several workshops out in Santa Fe at the Santa Fe for the graphics workshops teaching safe flying and aerial photography. [00:15:12] And that was a so much fun because you know the artistic side of this technology especially photography is sometimes not as much put in in the limelight as it should. Everybody knows about the videos and you create all these cool videos from all over the world but the images you don’t always see. So I had a lot of fun but then I started focusing more on using the technology or trying to learn how to use the technology in first responder environments. And that to me was like wow we can actually help save lives we can help save properties. And moreover we can help keep the ground crews more safe and that to me it was just ok. I got to learn more. [00:16:02] IAN: So that brings us to then drones forgood what is drones for good. I mean obviously you kind of just described that but I guess Well I think maybe the the proof is in the pudding. So you’ve done a variety of super interesting missions I’ve had the pleasure of listening to some of the stories behind them and this is one of the other reasons why I wanted you on the show so bad was to be able to share those with the listeners. Well so maybe you can tell us about some specific missions I think we have about three or four we want to talk about. Maybe you can start off with the European emergency number Association first responder projects. Tell us a little bit about that. [00:16:47] ROMEO: Yeah that’s a fantastic project that we started in the very late stages of 2015. Mainly to really understand what are the needs of first responders. If they had a drone How would they use it. And not only how would they use it but how would the data flow work and how would they integrate it into their current procedures. And you know it’s easy to say well just go to a fire station and drop a drone off and let them use it. But there’s so much more complexity behind it and so we wanted to study that. We wanted to get a much better understanding. And at that time the environment here the FAA environment with all the regulations were not optimal. So I looked over to Europe and I said you know what. It’s much much easier over there. Let’s partner with EENA the European Emergency Number Association. [00:17:42] IAN: What is that is that like a 9/11 association or something? [00:17:46] ROMEO. Exactly. So in essence it sets one one to. Throughout the European countries and this is a nonprofit organization that an NGO that is trying to improve first responder services by bringing very a variety of different stakeholders together and provide solutions to the needs of first responders in all those various European Union countries. And it was it was a real natural fit for both DGI And you know to work together on this and the interest had already been there. [00:18:22] So we we partnered up and we announced the partnership and said OK we are looking for four pilot test sites in Europe and we got 45 applications from a variety of different countries all over Europe. Fire Search and Rescue law enforcement medical and so we picked four locations and the whole idea was we’re going to work with those four locations on providing them platforms and then studying how they integrate the platform how they use it what do they do with it. What data are they looking for and then get their feet back get their suggestions and try to improve upon not only our hardware but come up through our STK solutions that really helped them. [00:19:15] ROMEO: That was great. [00:19:16] IAN: And so that kind of did that then pave the way I mean that was like one of the initial projects to really understand OK here’s a tool let’s find out how you use it. So you took a very pragmatic approach documented and everything will kind of pivot over to something. [00:19:34] OK. So this is voice you know audio only. But this project that we’re going to talk about next is really fascinating to behold. It’s from what I understand it’s one of the largest cave systems in the entire world. So you went on a project with ABC’s Good Morning America inside some caves some huge beautiful caves very lush green environment wet you know slick moist kind of rocks I mean you can kind of feel the humidity when you look at these videos and pictures in Vietnam and this cave system and tell us a little bit about that. I mean what was the purpose and what did you find I mean there’s got to also be some operational complexities when operating I mean by the way you were flying drones in this huge cave system. [00:20:21] ROMEO: Yeah. This was you know I still think this project was way ahead of its time. We’re talking about April of 2000 and 15 when we went out on the first trip to So Doong the world’s largest cave system. And it’s in central Vietnam out of nowhere in a national park and it was only discovered in the late 90s. So it’s this amazing oasis. [00:20:48] IAN: It wasn’t even discovered, like people didn’t know it existed. [00:20:51] IAN: No not even the scientists have not yet gone through the entire cave. It’s that large. And so ABC Good Morning America did this segment where they wanted to show some hidden treasures of the world and using drones and not only using drones and taping to footage but doing live TV from the drone from wherever they were to the studio in the United States in New York to homes in America. A huge undertaking and the first one was in Iceland with Eric, Eric Chang and he was flying over an active volcano. [00:21:31] And then couple months later the idea was to go to Vietnam go to into this cave. And first of all take a look at this case. Would a live TV production out of this cave out of nowhere be feasible. So we went there with a small team and it was just me and I had brought along a Inspire and a Phantom3. [00:21:55] ROMEO: Inspire1 at the time yes. [00:21:59] ROMEO: I had to go with me but it never made it it got stuck in customs and the Inspire hat I brought with me. I got lost in transit somewhere in Hong Kong. And so I arrived in Vietnam with nothing. [00:22:13] IAN: The worse nightmare I guess. [00:22:16] ROMEO:The worst that could happen. Well what happened was a series of amazing events that led us to a new dealer that had just opened up the doors to sell drones in Hanoi. And they were the most amazing people to work with and they provided us with inspire with batteries. So we were able to go to the cave and I had at least an inspire with me and the day we marched through the jungle they had they found my my original inspire and they got it to the cave location. And so we had a backup. So I felt much much better. So do this trip even if you are just a tourist you have to be in really good conditions and there are only I think a couple hundred slots available each year to go into that cave. So it’s not very touristy it’s very selective. [00:23:16] And so we thought we walked through the jungle for a day just to get to the entrance of the cave. And we’re talking about hot humidity and it was so hot. Well my very first flight in Vietnam were in this native village and I wanted to take a flight and take some images of this village and it was so hot in the sunlight that the screen on my iPad crack I was watching it crack because I was in direct sunlight and I couldn’t believe my eyes. [00:23:46] IAN: Did you get the shot? [00:23:47] ROMEO: Oh I got it. I had to work with that with a cracked iPad. [00:23:51] IAN: Anything for the shot. [00:23:51] ROMEO: Anything for the shot. So I get to the we get to the first cave hang and cave and that’s just it’s an amazing place. I mean huge cavern sandy beach inside the cave or we were Speights then that state the night and then the next day we tracked for another day to the Son Doong cave. [00:24:12] IAN: Through the caves through another cave. [00:24:14] IAN: Wow, what a trip. [00:24:15] ROMEO: A total trip. I mean it’s it’s hard to describe in words so beautiful. And Son Doong cave and we had to repel into the cave with all the equipment with all the food and everything. And we got to the bottom and there’s this beautiful river and it’s pitch black dark. But there’s this river and that was the last time we were able to wash ourselves. And so it was the most beautiful swim ever. [00:24:44] IAN: And would you just have like headlamps on set up like lanterns and stuff? [00:24:48] ROMEO: Exactly. And then we moved on and we got to the first campsite. And so in there I did my very first flight and this cave is so big and it’s so moist and it’s hard to explain but it has its own weather pattern it’s in there. [00:25:07] IAN: What could you compare that like the size of this cave to just so the listeners understand. I mean because you can’t see the pictures well links to the pictures of course and the story and everything but like is there like a size comparison you can give? [00:25:20] ROMEO: Well in one of the caverns. You can put two 747 aircraft the Boeing 747 side by side next to each other and you would have still plenty of space in another cavern. That was like probably a mile. We could see a mile because there is also an opening in this in the ceiling we’re called dowline. [00:25:43] IAN: And how tall is the ceiling? [00:25:44] ROMEO: A thousand feet. [00:25:46] IAN: Wow. So this is just massive. [00:25:47] ROMEO: Massive. So you have that beam of light that comes in and you have this weather patterns with fog and clouds that are moving. And so I was like I got to fly in here but you’re in a cave. So yes out the window. So you have to fly in an eddy mode without GPS. So you know we all get used to having that GPS and when you are not flying in space and you’re flying in a cave and you’re flying in an environment where you’re a mile away, you can barely see your machine because it’s in the fog. [00:26:26] ROMEO: The cave fog and all you do is you just focus on your on your i-Pad that now is cracked. [00:26:32] IAN: And no there’s no return to home because there’s no. [00:26:36] ROMEO: Exactly. Oh my goodness. And the stabilization system of our gimbals is so good that you don’t even notice that your dead your machine is drifting because of all the aerodynamics in that cave and it’s just the most surreal experience. [00:26:53] IAN: Where you being recorded live during this too. I mean that will add another wrench into the complex. [00:26:57] ROMEO: Luckily this was only the scouting trip to see. Is it even feasibly possible. So from from the first campsite we went onto the second campsite and to get to the second campsite you have to cross a Giang inside the cave. It’s bizarre. It’s like you know Avatar and Jurassic Park it’s all in one. [00:27:22] IAN: Are they animals down there? [00:27:24] ROMEO: They’re animals down there that are not seen above. They have different type of animals down down there. And it’s it’s so fascinating. It’s just amazingly beautiful. [00:27:34] IAN: Birds too I imagine? [00:27:35] ROMEO: Birds as well. Yeah it’s amazing. Now what did happen though between Camp side one and camp site too. We all got very sick and most of the ABC team stayed behind. But I had to go for work because somebody from DJI had to go and fly to see can we fly at the second campsite. And I got there well and didn’t feel all too bad flu. But then on my way back to the first campsite I got really really sick. And long story short we ended up with ecoli. And it was the roughest time to get out of that cave. [00:28:18] IAN: I’m going to cut that. So all people hear it they don’t hear any of the beginning part about the cave or anything but long story short we got ecoli, boom. [00:28:26] ROMEO: That’s going to be a super intro. And so we got out of the cave and we decided ABC decided yes we can do it. We’re going to do it in two weeks. And so what happened was we all went home to get all the equipment that was needed to make it actually happen and to recover from ecoli and to make things worse. So there was so much equipment we needed to bring not only from us from DJI from all the drones and the backup drones and batteries but the technical equipment that is needed for a live TV production out of a cave inside Central Vietnam. Unbelievable. We ended up with like a hundred cases that needed to be transported. [00:29:13] IAN: Goodness stimulating the local economy I imagine. [00:29:16] ROMEO: Totally and and we we got actually a helicopter that flew us to the outside of the cave so we didn’t have to do the trek through the jungle which was so helpful. [00:29:28] IAN: I can imagine. [00:29:29] ROMEO: So we found the perfect location to do live TV broadcast from because we needed to set up a satellite dish and that had to be of course on the outside of the cave. And then we had to run cable into the cave to the area where we would be doing the live TV part. And from there we went back into song dong to tape everything and send it to New York every night. So we had runners that would go between the two caves every day every evening with SD cards so that they could be uploaded onto to the computer sent via the satellite dish to the studio in New York so that the editing team could already edit pieces together. It was a huge production. [00:30:19] IAN: Good grief. Sometimes farmers are a little bit intimidated to just operating the drone above the field and doing other things on construction sites. But this is something else. [00:30:30] ROMEO: It was incredible and I really encourage you to go and take a look. If you just do a DJI ABC Good Morning America show and google it, you will find a lot of amazing footage and it’s really worth seeing and also hearing about the challenges. I mean charging batteries in a cave. You know it’s we had we had these power generators and every night Ferdinand and I we were charging batteries and iPads and we we had to charge everything on power generators in the dark. And then of course during the life production you have to light up that cave. And so you need lights you need more power generators and the power generators are loud. So we had to bury them. It was an amazing production and then you fly a drone and you do the live broadcast from the drone. And people at home were really able to explore this incredible area. [00:31:28] INA: I can’t wait to look at it again after we’ve been talking about it. There is one picture that I remember just seeing with that beam of light shining down from that ceiling of the cave a thousand feet high down and I think it’s either someone standing there you can see the drone flying in the cave. I’ll definitely be sure to share that and maybe you will use that for the cover of the of the episode photo. But wow. OK. So from one tropical environment to the next so mouth the so you guys have done some work. DJI with the Maldives. And that’s a really fascinating part of the world. Tell us about the Maldives I mean it’s just such a such a unique formation of islands and I remember hearing this talk that you did I think it was at Drones Data X in San Francisco you talked about this project. But if you can give us a little rundown of what you guys wound up doing there from an operational perspective. [00:32:27] ROMEO: Yeah so this one falls into the humanitarian category and in essence it’s a project with the UNDP. The United Nations Development Program Office which has a mandate to you know find new technologies in essence that can help various projects and the mall defs were select that as one of the most impacted countries in the world by climate change and without getting in a political year you cannot really debate that. Weather patterns are changing and they are impacting people and the people on them all these are very much being and will continue to be impacted by all of this. There’s about twelve hundred islands in the Maldives and 80 percent of those islands are only three feet above sea level. And so that introduces a lot of challenges when the sea level only inch or rises an inch that changes a lot of patterns erosions and floodings are much more see now than they were in the past. [00:33:37] And so we wanted to learn more about the situation and we wanted to introduce technology to the locals so that they can use that technology to not only study the effects but prepare for disaster. And then during and post-disaster use the technology to help recovery. So we went on on a couple of trips to you to map islands because we’re also what we learned was some of these islands were never really mapped. There are hand-drawn maps of an island. And we wanted to show them how easily you can map an island with a drone and with a software package like DroneDeploy for example and then you have data and you can rescan remap that area you know once or twice a year and compare the changes. And so you’re creating data sets that provide a lot of helpful information. [00:34:38] ROMEO: Extremely useful. And then also you know in order for all of this to be really impactful you have to get the community involved in all of this so the idea is if you have a map of an island bring the people together and let them pick and choose which are the more important buildings that need to be you know either saved or maybe enhanced. Where does the water come from when there is a flooding is it from this set from that site. And so by getting the community involved you get also buy in and they are a perk of the solution. And also we wanted to train the search and rescue people at the Coast Guard on how to use that technology. [00:35:25] A lot of tourists go to the multi-phase to enjoy. And they have seen a big increase from Chinese tourism and a lot of the Chinese visitors. They don’t know how to swim and they’ve had many incidents where Chinese tourists got lost on sea and they had to go and look for a missing person. And there are no helicopters. It’s like I think two helicopters in the entire Maldives. They have a lot of sea planes but they’re used to transport tourists. So the infrastructure is not really very supportive for aerial search and rescue operations. [00:36:03] IAN: Most of these children probably learn how to swim as soon as they possibly can, so close to the water at all times. [00:36:10] ROMEO: Exactly. So we introduce them to drones and how to use drones and we used to learning’s some of the learnings that we got through the project to train the Coast Guard for example how to best tactically use the technology to find something that that you’re looking for. And then while we were there in the Maldives on the last trip in November the day I arrived there was this huge fire on Male. Male is the capital city of them all the U.S. And it’s it’s about two square kilometers and it’s hugely populated 160, Uh 170,000 people. And the streets are narrow. Fire trucks cannot even really get to the location so they have to sometimes park you know several hundred meters away from an incident. And then there is hoses being laid out. So they have a lot of challenges to overcome. And I was there when there was a big fire. I was able to get front row to observe. [00:37:14] How do they operate. And I was completely amazed at how well they operated under the conditions that they were dealt with. But having an aerial view right there where they could see how close is the fire to the next building to this site and to that site. That alone would have been so tremendously helpful. So the next day we did a training session with the fire department and within minutes we got via And we did a live fire scenarios. It used several different platforms. They used the thermal camera to see where the hotspots are. And so technology like this can really help areas like Male and the Maldives and so this this was a really really good project to do. [00:38:04] IAN: Wow. That is excellent. In the beginning it sounded like Oh OK. The most critical thing would be the rising sea surface. But in the end there’s all kinds of other infrastructure problems that they have to deal with especially due to you know high tourism just by virtue of living in such a beautiful part of our planet. They have to deal with all these incredible challenge. So drones for good are on that mission too. And so the last mission that we’ll talk about is something that I don’t think I’m very familiar with it’s the black channel high altitude search and rescue. What is this? [00:38:40] ROMEO: That was another really amazing one. You know I grew up and so it’s I’m in the mountains. And so the idea was we really wanted to gather more data on how can this technology help in the mountains. And now we’re talking about extreme conditions. [00:38:57] IAN: You’re a skier? [00:39:00] IAN: Do you guys have those. St. Bernard’s with those little garden like barrels around their neck. Is that really like whiskey in there? In case. [00:39:07] ROMEO: Yes well they are real but of course they also get pretty commercialized. [00:39:14] IAN: Sorry I had to ask the question. [00:39:16] ROMEO: But you know you bring up a very very interesting point because when we look at Mountain search and rescue to change in mountain search and rescues quite amazing because it started off with people on foot going up on the mountain looking for missing people. Then they realized well you know we could integrate a K-9 unit we could in a great dark especially avalanches after avalanches to you know help locate. So teams were set up with dogs. Then the helicopter came around and with the helicopter first it was just a pilot but there were several challenges because the pilot knew where to fly in all that. But then when he or she had to report a location it was more difficult to describe the location. So they said OK we’re going to add a search and rescue person on the helicopter and we’re going to add a mountaineer on the helicopter because we need to find the best way to get to that person. So suddenly you have a three member helicopter search and rescue team. [00:40:17] And so it’s very fascinating to see how all of this has changed has changed over the years. And now we have a drone now we could potentially what we’ve learned through all of this have a drone in a backpack and they could deploy a drone during a search and rescue mission just to look ahead for example. What’s the best way to get to this location. And so we decided let’s go up on a glacier. Let’s go up in into an environment that is harsh high altitude low air density cold weather or bad weather and see how could a drone help mountaineers and search and rescue teams. And so we did as a test study we had three teams and Team One. They they didn’t have any technology than what’s already available to them and they got a call that there was a person missing with a general location and time to go and find that person. [00:41:16] Team two, they got everything team one got except they also got a drone so they could during their search and rescue operation deployed a drone and used the data to make more better decisions. Team three, they got data that was taken an hour or two hours before they went out and we provided them with a 3-D map of the glacier. [00:41:43] IAN: Data from the drone. [00:41:44] ROMEO: Data from the drone and we provided them with with data so that they could preplan the search and rescue mission and then we wanted to see how these three teams stack up against each other. And here is the very interesting part the team that got the data on all of the tests. They had information that was very very valuable because in their minds these mountaineers they know their mountains they know the paths to take they know you know the areas what they don’t know is the conditions of the glacier. So by providing them information they can quickly adjust their thinking. So they would have gone from a to b a certain way after looking at the data. They said oh no no we’re going to do it differently we’re going to go this way while the other two teams were going the original way. [00:42:38] IAN: So following the just the instincts first because that’s all they really knew. [00:42:42] ROMEO: Exactly. So that was an interesting learning that that the drone has really moved from from a you know flying device to a data capturing device that actually influences, real time decision making. And so that was that was really really interesting to see. That project was challenging because it was in high altitude and on our send up while we were in the wall climbing up. We got into a storm. We we experienced what many climbers experienced and many scenarios start that way you get caught in a storm. [00:43:20] IAN: You almost had to get rescued. [00:43:22] ROMEO: Luckily we had drones with us. [00:43:23] IAN: Yeah. You fly them in. It’s like a Lassie Come Home. Return to home. [00:43:28] ROMEO: There were couple of times when I was in that wall and there was lightning around us. And I just wanted to get back. I was drenched. I was wet. It was cold. I just want to go back. But we pushed on and I’m glad we did because it gave us a real life experience as how it is how it is for the search and rescue teams because they go no matter what whether they want to help they want to find people. And if we as an industry can help them with tools. I mean we’re making a big impact. [00:44:05] IAN: How did the drones handle the high altitude? I think the power to weight ratio continues to climb as technology improves. But were there any issue. I mean I haven’t heard too many issues with people you know flying in high density out of two locations. But were there any issues with like high altitude operations that you’ve encountered on that specific instance? [00:44:30] ROMEO: Yeah. So we learned a few interesting things. So the higher up you go the less air density you have. So you in essence your platforms have to work harder to keep keep them afloat. At some point. You know there’s just not enough air to really you know help the platform to stay up there. So we did notice that when you come back in for landing for example you have to fly a little bit softer. Otherwise you can’t stop. But what we also learned was of course the cold environment so you have a double whammy in essence you have cold and you have high altitude. [00:45:07] Those two together really impact the platform but the more most fascinating aspect was actually impact it has on the human being. Granted you know people that live in the mountains and that have grown up in the mountains and work in the mountains they’re not as that high altitude sickness is not a real issue but it still impacts you. And in essence you become the weakest link in all of this. And it was fascinating to see. There were several instances where I was watching people do put the drone together and they couldn’t get the props on because they put the props at the wrong arms something they didn’t do in the valley below just all these little thing. And even up myself and I grew up in the mountains put on the first day I could feel that I mean high altitude and it was a little bit more difficult to focus. But you know your body adjusts really really quick. [00:46:07] But in any case during a search and rescue operation no matter if you’re on them on a lake or on a river or on a on the ground or on high altitude the operator also is in essence one of the weakest links in all of this because if you fly 20 minutes and you put in your battery and you go for another 20 minutes at some point you know you get tired you get fatigued nothing but mentally and little things start to creep up and mistakes happen. And suddenly you know you end up in a tree or something like that. [00:46:45] ROMEO: So very fascinating learnings that we got out of all of this. [00:46:48] IAN: Well you have a very fascinating job Romeo. I think anyone that’s listening to this if they enjoy adventure. And also you know kind of being in you know you mentioned your trip with Mark becoming you know in 2010 somewhat of a drone ambassador to those people but still kind of being an ambassador to the rest of the world with this technology. So that is super super cool. [00:47:12] So any tips that you may have missed is a kind of a hard question because it can be taken in so many different ways. But any any tips you can have for any drone operators commercially whatever people who want to help and use drones for good? You know what could they do to potentially get involved? I mean any any ideas on that? [00:47:33] ROMEO: Yeah there are several things people can do and there are a lot of things people shouldn’t do. And one of the first ones you should never do is if there’s a fire if there is an incident don’t just go and fly your drone thinking you’re helping because the likelihood of you not helping is much much bigger then you helping. [00:47:52] IAN: That is the excellent point I didn’t even think that that was going to come up because if you’re flying better than the other people who were fighting the fire and trying to save lives can’t fly. [00:48:01] ROMEO: Exactly. So first thing you should do is if you’re really interested in this go to your local fire department go to your local search and rescue units make contact maybe they already have a drone. Maybe they have been looking at drones maybe you can provide them with information or maybe you can guide them in the right direction. You’re already helping by doing that. That’s that’s one thing. There are a lot of volunteer search and rescue organizations and some of them use drones. [00:48:32] And the majority of them they work with law enforcement entities together and so may be joining in an entity like that. Any time you can do something that is coordinate it the likelihood of you doing something good. Is there any time or. Pretty much every time you’re doing something on your own you may really be interfering with what’s going on so don’t be a lone wolf don’t do it on your own don’t do it just to get a good picture of video. That’s that’s the first and foremost. [00:49:05] INA: Safety. Well excellent advice. So let’s let’s switch gears here a little bit. That was really really fascinating. Incredible stuff. I love all those stories. So DJI Enterprise launched recently with the Air Works Conference that was here in San Francisco towards the end of the year was December maybe. And what’s the strategy for DJI here with with this enterprise branch of the business and the air works conference where is this initiative heading it looks to me it’s a lot more commercial in nature for other types of commercial operations because as we know aerial video and photography can definitely easily be commercial operation. 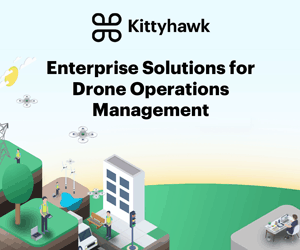 So what’s going on there with DJI Enterprise? [00:49:56] ROMEO: Yeah that’s a great question. There’s so much happening. So we at DJI, we really believe that innovation and enterprise comes from you know disruptive technology that is being used in the consumer segment. In essence what we’re seeing is what once was just a fun hobby is morphing into more and more commercial projects and use cases. And we want a better focus on that. So for example today there are over 450 drone companies here in the U.S. alone and the majority of them actually roughly 75 percent of them are using DJI platforms to do their services their businesses that could be you know from real estate photography to inspection to agriculture. [00:50:49] And it’s estimated that all of this is growing from 9 billion dollars to 120 and even more billion dollars in the next three four years. Those are amazing numbers. And more importantly we’re expecting approximately 100,000 new jobs being created through this technology jobs like mine where they are from a hardware provider job like yours. That’s from a software provider. And then all the people out there using both the hardware and software to create something to inspect something to gather data about something. So this is a huge huge opportunity. [00:51:32] And also what is happening and what we’re sometimes not even taking into consideration is the ecosystem around it because you know you may need a better case for your drone because you’re going to go on a search and rescue operation or you’re going to go on a inspection out in nowhere land so you may need not only the case but you may want a particular vehicle that may be supports you know charging off the drone into batteries and monitors for live feeds TV and so all of this creates this ecosystem around the HeartWare and that creates other products that go with it. [00:52:13] Similarly if you look at your smartphone you know the cases that come with it the apps that come with it through our SDK and we’re creating applications solutions to very specific challenges problems or needs. And so this is growing. There is there is no question about it. And we have not even touched the surface of the iceberg and now we’re starting to see real use cases and real data from companies using the technology and how it has saved them from investing air time manpower or making a job easier. You know that roof inspection will always be there. But do we have to send up that guy on a. Can we first go with a drone and then maybe we identify issues maybe then a team has to go up on top of the roof. [00:53:04] So at DJI we have we have recognized that there is a huge potential in an industry. And the range is huge so many different almost any industry could potentially benefit from autonomous aerial technology. And so in December we had our first DJI Air Works Conference here in San Francisco and that was really geared towards covering the entire drone eco system including hardware or software companies around UAV technology. And it was it was very successful. We had 350 attendees, 40 media outlets that were covering part or all of of the conference. [00:53:52] And it really got us a way to connect between us and the users but also the users with each other and the software developers and it helped create a much better understanding of what our needs. What are some of the solutions and how can we together drive this ecosystem to the next level. And part of it is is like search and rescue and first responders. There’s a strategic element in all of this because if we can showcase that the drone is actually saving lives and properties and keeping our first responders more safe then you cannot argue with that technology. So then we’re we’re also helping change how we see the technology how the rest of the population sees that technology and we can influence how the regulatory environment is being developed. So we all have an opportunity to be part of this of this environment and I think that is all being incorporated into DJI enterprise. [00:55:01] IAN: So I think you guys announced at the conference also some new new types of hardware. Kind of like specialized hardware for specific cases correct. Would it be safe to say that you know if your have a very unique use case and there’s a lot of action around it then it potentially DJI could be looking to you know build specific types of hardware to solve those kinds of problems. [00:55:26] ROMEO: Exactly. And it’s all part of the learning that we’re going through because we don’t know all the needs that are out there. But if we see that people say you know I have a need for a platform that does A B and C and if we suddenly see 10 people say that then we may want to think about creating an in-house solution for for that segment. So by doing it that way we’re gathering a lot of data and we’re able to adjust our hardware to help for certain specific tasks. I’ll give you a very good example. [00:56:03] You can get an off the shelf DJI phantom 4 and it can be used immediately for a lot of great things but maybe you have a need that is very different from mine. So you may want to do mapping I may want to do search and rescue. I can go on to the App Store, I can download Drone Deploy and I can or you can do then the mapping I can download drone SAR which is an app that has come out of our first responder project and it will help me do search and rescue. [00:56:33] ROMEO: So the idea is if we know what the needs are we can provide solutions and if we know what the hardware needs are then we can adjust. [00:56:42] IAN: One of my favorite examples of just this like democratization of technology is actually thermal imaging. 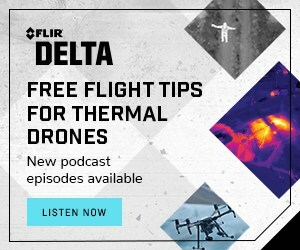 So thermal cameras so previously you know if you look back two or three and I’m speaking specifically about the DJO and for your partnership and the DJI XT thermal sensor if you look back a couple of years ago it’s entirely totally easily possible to get a thermal camera on a drone. [00:57:07] It would fly around you could get video back but the problem is it was incredibly expensive. Number one you had to spend at least like 40 thousand bucks on like a whole platform. And the price spike rises exponentially from there. But the the actual user experience was never integrated enough. It was always like Okay cool we got this video feed and we just send it straight down to a monitor and boom that’s it. And now with the DJI XT which is so powerful it’s brought usable much more usable technology with flybridge with the SDK into an entire package that really works and has been designed to work together. [00:57:53] And that’s one of the one of the most exciting developments in you know some of the enterprise type partnerships that you guys have have you know brought forth it has been that that fleer and DJI sensor technology for thermal and it can be so useful for you know as you know inspection will of course search and rescue firefighting all kinds of different things so I am excited to you know see how this develops see other types of partnerships that develop more types of hardware that are so much more easier to use by being in this nice ecosystem that people can can take advantage of. [00:58:35] So that’s really cool. So let’s look forward no let’s look backwards a little bit more actually. So in the past three to five years I have this question here. What one thing to you? I guess I gave you my answer or one of my answers but, what one thing do you in the past three to five years in the drone industry has been the most effective new technology that has come about.? [00:59:00] ROMEO: You know this is this is a fun question. It. There is not no one right answer in my opinion there were several that really really made a huge impact. I mean the flight controller by itself is a marvel. Without the flight controller it would be so much more difficult to pull all of this off. So the flight controller is definitely on top of my list. Then integration of flybridge into small platforms or Ah-Q sync as we have it now on automatic to get very little latency and a very long distance connection to a platform that’s spectacular. [00:59:42] IAN: The range on it is ridiculous. [00:59:45] ROMEO: It is. And of course you know that right now is a little bit of a challenge too because of the no line of sight flight regulation. But you know this is temporary in my opinion at some point in the very distant future flight beyond liner’s sites are going to be happening and they’re going to be happening safe because of the integration of additional sensors and data. So that brings me to the next item that I think has changed the environment and that’s sensors. You know the ability to start recognizing your environment and the platform reacting to those data inputs by itself which then leads me to the next item that has or is changing everything autonomous flight capabilities. The fact that you can set up a ground station flight path and your machine safely executes it. [01:00:39] That opens up so many opportunities and I am honestly excited about the president more excited about the future because we will as a society as nations as you know everyone to come together we will figure out all the challenges that are that come with new technology. I mean this is we’ve gone through this with the car with airplanes with the computer. This is nothing new. And it’s good that we are cautious. It’s good that there are people that say But you know what about privacy. What about this. What about manned aircraft. It’s good because that makes us all think and come up with solutions that work. Reality is this is fairly safe technology. If we look at the millions of flight hours that these machines have already provided and the success rate it’s tremendous. So I’m excited. What does the future look like. If I only knew but one thing is clear. [01:01:52] ROMEO: Exactly. I think that the future is data sets and you know we keep hearing that and what does it really mean. While it means a few things. 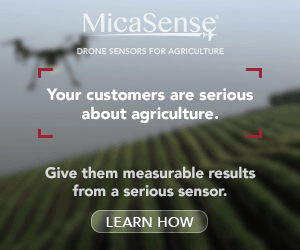 One there is more data that comes into the drone through sensors and that could be environmental sensors that look at obstacles all around but it could also be sensors that pick up data that you actually want. For example you know has met drone that picks up gases or you know cameras that that’s data. So there will be more data and with more data you can do more things and with more data you also need a different infrastructure. So this is I mean there is so much that that will continue to change over the next couple of months and years and things that we have not even thought about yet that will come up. So this is very fluid right now. [01:02:50] IAN: Totally. What is your favorite drone of all time? [01:02:57] IAN: This is the last question by the way. [01:03:00] ROMEO: You know my favorite drone I think when you fly platforms you kind of start building little relationships and and you start learning about the good and the not so good of a drone and you adjust your your flying skills accordingly. I believe that my closest relationship with a drone and that sounds so weird but it is. I’m in love with the DJI Inspire 1. I have to say the Inspire one is definitely my favorite platform because I spend so much time with it. I spend time with it in a cave. I had to you know go through. [01:03:40] IAN: I’m going to cut that part again. Long story short we got ecoli and I spent a long time with the drone in a cave. [01:03:48] ROMEO: It’s a weird life but you know you know what’s what else is very fascinating to me? Different platforms do act and react differently. But for the most part the experience is the same and that’s the fun part that that fascinates me when I can see somebody for the first time fly a drone and experience that feeling of not only seeing your drone in front of you but then looking at the monitor and seeing what the drone sees that those faces are always priceless. And so it doesn’t matter if it’s a Phantom or if it’s a Mavick or if it’s in Inspire that experience that that first impression. That’s always the same. [01:04:35] IAN: hat is an important moment I think. I think as an industry we should latch on to that a little bit more and next time you get the new brand new drone and you just grab onto the controls. Let’s try given it over to someone else let them take the take the controls for a little bit and experience that magic and sit back cross your arms and enjoy that moment. That’s great. Well Romeo. This by the way is the longest episode on the podcast thus far. [01:05:03] And I know we could go on for another hour if we wanted to. We’re over an hour now and so I’m going to go ahead and cut us off there. It’s such a pleasure to have you on. I know I speak for the audience as a whole as well saying that we are very glad that you could come share all of these stories and these thoughts and will continue to pay attention close attention to your work for the audience listening you can go ahead and you can follow Romeo on Twitter @romeoch – Charlie Hotel and Instagram at @visualaerials to see some of that really nice photography that Romeo’s been doing. [01:05:43] And you can visit of course DJI’s Website at DJI.com. And I will definitely be sharing those stories I’ve got links that you’ve sent me so I’ll make sure to put those in the show notes some of the pictures that gorgeous pictures of the cave. But while you’re at it while you’re checking out Romeo’s stuff go ahead and subscribe to the podcast if you like what you heard. You can go ahead and you can follow the podcast as well on Twitter @dronespodcast and you can like us on Facebook at Facebook.com/dronespodcast. And with that we are going to go ahead and we are going to cut off the pics. [01:06:17] Romeo, thank you so much once again. And thank you DJI for hosting me at the office today. Hopefully we can chat with you again soon. [01:06:26] ROMEO:Absolutely. Thanks for having me. This was a fun Ian and Romeo show and I hope the listeners were not too bored throughout this long episode on record. [01:06:36] IAN: Longest one ever. We’ll go ahead and break the record again some day. All right everybody we’re cutting off the mic. [01:06:56] IAN: All right so that’s a wrap. I really hope you enjoy this episode. One thing you can do to support the show is to visit our new Patreon page and consider donating some change at patreon.com/drones podcast. So go ahead and donate a buck if you’re feeling it. I will be forever grateful. Again that’s Patreon.com/dronespodcast.